Walking with Jesus: Day 14: Acts 5:12-16 & Prov. 6:12-19 - Why Did God Empower the Apostles to Do Such Great Miracles? Day 14: Acts 5:12-16 & Prov. 6:12-19 - Why Did God Empower the Apostles to Do Such Great Miracles? "Now many signs and wonders were regularly done among the people by the hands of the apostles." Why Did God Empower the Apostles to Do Such Great Miracles? It's almost too wonderful to believe, isn't it? Today's reading in Acts gives us a brief look at a marvlous time in the life of the early church. We've already seen the powerful preaching of the apostles and the strong commitment to church life by the early believers. Now we see the miracles God did through the hands of the apostles and the high esteem and honor they had in the eyes of everyone, including unbelievers. And, as we have seen all along, more and more people are coming into the church, finding salvation in Jesus. 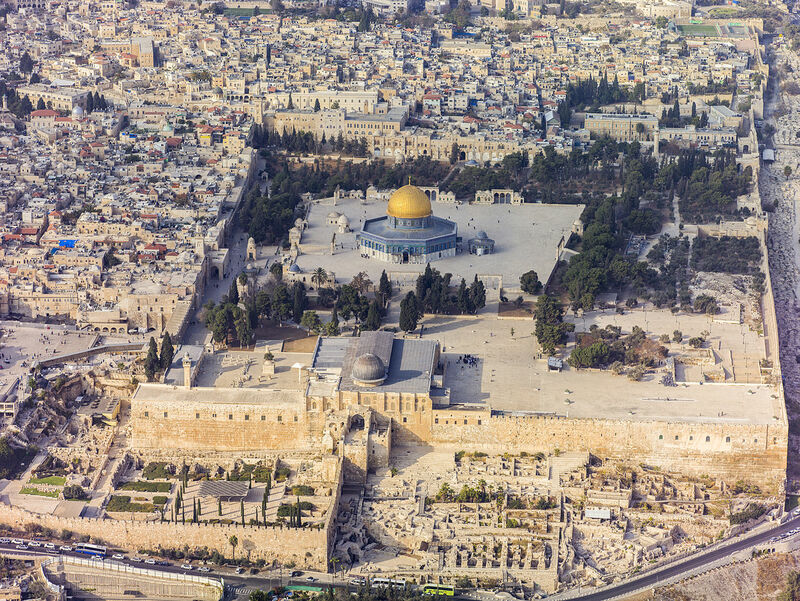 What was God's purpose in granting the church these few years of prosperity in Jerusalem? What was His purpose in empowering the apostles to do such great miracles? And why didn't it last? This was surely a uniquely wonderful time in the life of the church. Even these apostles themselves would not experience another time of such powerful unity, such miraculous displays of God's power, such widespread public acceptance and such relative peace from the authorities. We don't know for sure how long such a Golden Period for the early church lasted, but many Bible scholars believe it was a a few years before Stephen's arrest and execution as the church's first martyr, perhaps from the year 31 or 32 to the year 34 or 36 A.D. These years allowed the apostles to clearly, repeatedly and powerfully proclaim the truth about Jesus to Jews in Jerusalem. By the time the church is scattered following the martyrdom of Stephen, no one in the Jewish leadership and very few who passed through Jerusalem on pilgrimage could deny knowing the truth about Jesus. It was proclaimed openly and repeatedly. The miracles God granted through the apostles served as confirmation of their message. By empowering the apostles to do the same kind of miraculous works that Jesus did, God was giving a publicly verifiable confirmation of His Gospel. Before you give in to the temptation to dismiss these miracles as religious propaganda, consider that all of these signs were done publicly before many eye-witnesses. Consider also that the book of Acts was probably written within just a few decades of these signs, so that many of the eye-witnesses of these events would have been alive and able to verify or deny Luke's claims. God has a consistent pattern of accompanying new revelation with public, verifiable miracles. This is one of the ways we know that the Koran and the Book of Mormon are not new revelation from God: They're missing the accompanying verifying miracles. So, why did God scatter the church through persecution? We'll address that question in detail when we get to Acts 8. For now, we can say that the Gospel was not meant to be kept in Jerusalem but to be sent to the ends of the earth. Marvelous times of unity and growth in the church can sometimes be so comfortable as to keep us from advancing missions into unreached places. 1. Preaching the Bible passionately, with a focus on Christ and sound theology. 3. Living together in community, committed to caring for and serving each other. 4. A bold and clear public witness before a watching world. May the Lord empower us by His Holy Spirit to pursue these kingdom priorities! expose the men within Your church who mislead and divide. seven that are an abomination to You. living as becomes the followers of Christ.